Most everything that was said at the Wednesday-morning press conference about a bill to essentially reinvent Utah's criminal-justice system was essentially old news. That emphasis should be on community treatment beds over prison beds; that drug addicts and the mentally ill should not be treated the same as hardened criminals; and that prison should not be a warehouse for nonviolent offenders who have nowhere else to go. 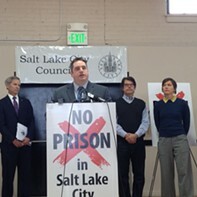 What was new, as bill sponsor Rep. Eric Hutchings, R-Kearns, said, was that plans to relocate the Utah State Prison finally allowed for the opportunity to seriously fund these long-sought-after reforms. “Criminals are typically not a hot topic for funding,” Hutchings said, speaking of his years of experience as the chair of the committee funding corrections and criminal-justice efforts in Utah. After months of research and collaboration, Hutchings, flanked by nearly a dozen advocates and experts in corrections and mental-health services, presented House Bill 348, the bill meant to help save $542 million on the cost of the prison move by containing 98 percent of the projected prison growth over the next 20 years. It was clear the bill would still have an uphill battle. The price tag for cutting these long-term costs would involve a $10- to $15-million investment to be appropriated this legislative session. While the sponsors of HB348 noted that if Utah expands Medicaid it would benefit their bill, they also said the bill wasn't contingent upon Medicaid expansion being approved. 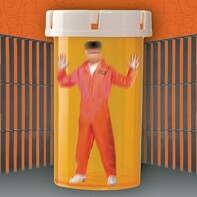 Certain components of the bill have already caused consternation with the Statewide Association of Prosecutors, who have stated a concern about parts of the bill that would reduce certain felony drug possession crimes to misdemeanors, thus creating a scenario where certain addicts of hard drugs might not be motivated to undergo court-ordered treatment. But reducing penalties for possession and even certain incidents of drug distribution are key, Hutchings said, to make certain that people suffering from drug addictions aren't caught up in the same system designed to catch and punish hard-core criminals. Hutchings stressed the importance of the bill's new efforts to assess people as they enter the criminal-justice system and refer them to evidence-based drug or mental-health treatment in the community so that these individuals would not simply share cells with true criminals. “Data shows that when you treat these people like criminals, then shockingly, they become criminals,” Hutchings said of individuals with mental illnesses and substance-use disorders. Another key aspect of the bill would restructure the sentencing system, or matrix for those on probation and parole, seeking to make it so individuals will be less likely to be reincarcerated for technical parole violations. And for the first time, the bill would build into the parole process incentives for offenders to shave extra time off their supervision sentences for behavior shown to reduce the risk they will turn back to crime. By getting nonviolent offenders directed out of corrections, the bill's sponsors hope that the public can be better served with prisons and jails being able to better focus on violent criminals. The bill, researched by the Utah Commission on Criminal and Juvenile Justice in partnership with the Pew Charitable Trust, found that Utah's prison population has grown 18 percent since 2004, six times faster than the national average during the same time period. Rollin Cook, director of the Utah Department of Corrections, made an impassioned case that it was time that Utah's emphasis on family values extend to those who have been caught up in the state's criminal-justice apparatus. To read HB348 click here. 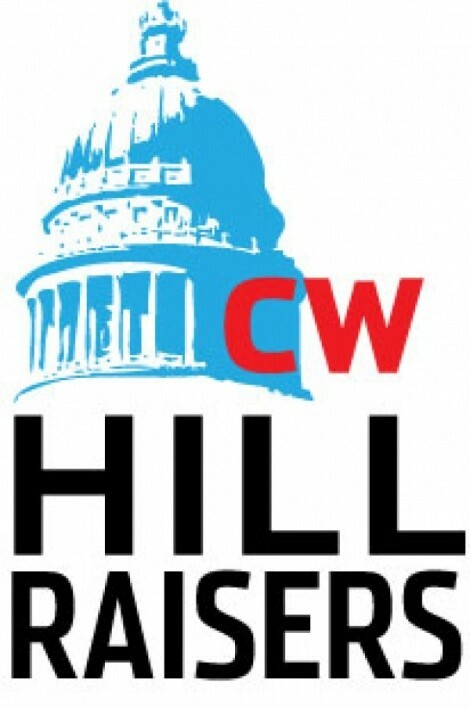 To contact Rep. Hutchings about the bill click here. To find your legislator to contact them about this bill click here. 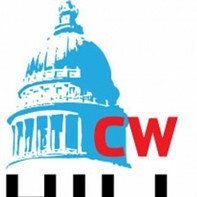 For more updates from the hill visit CityWeekly.net and follow @EricSPeterson and @ColbyFrazierLP on Twitter.